Well, the moment of truth has arrived. 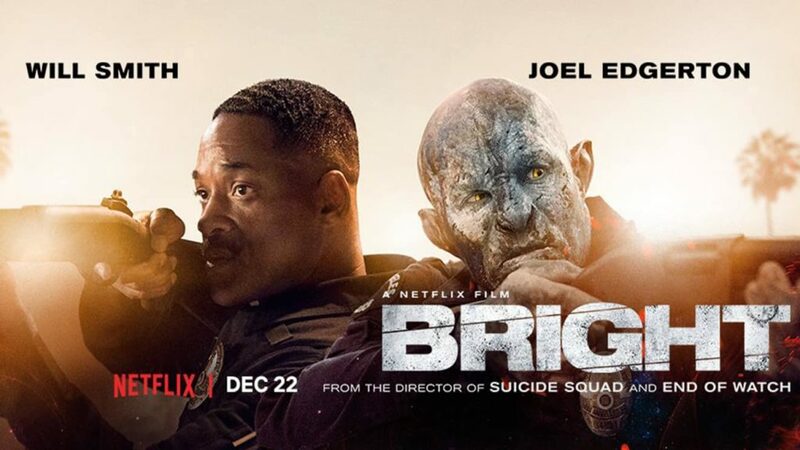 David Ayer’s Bright has officially released on Netflix which signifies the streaming service’s first major outing in producing films, as well as television shows. However, this endeavor has so far been met with largely negative reception from several critics. I do, however, disagree with the consensus so far. Bright is by no means a film that anyone should take seriously, nor is it meant to be. Something that the common audience member could deduce considering the subject matter at hand with the idea of Orcs roaming around the streets of Los Angeles. It certainly had to have been something that crossed David Ayer’s mind when he decided to make a return to the police procedural genre after a bumpy ride with last year’s Suicide Squad. The film certainly satisfies that craving for dark, more director driven, and original concepts in a time where cinema is largely dictated by formulaic conveyor belt driven productions. By no means though does that mean that this film doesn’t keep up to the beat. 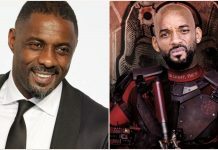 After all this is a David Ayer film starring Will Smith so you can expect some high octane, shoot-em’ up action that’s accompanied by some solid writing similar to work we haven’t seen since I, Robot and Bad Boys. It’s further complimented by a script from Max Landis, who is somewhat of polarizing individual for some given his work on Victor Frankenstein. Though I wouldn’t say that is much of a crutch for him as Bright proves his style of storytelling does go well with Ayer’s as they put together this pulp fiction, buddy cop, fantasy, and action outing. It’s a new kind of fresh that I’m ready to liken to the earlier works of Quentin Tarantino and certain works of Peter Jackson. You can really start to see why Netflix was willing to pay top dollar to get a hold of the script for it. To be exact they reportedly paid $3.5 million to get it. Bright is set in an alternate present day where both humans and creatures of myth- centaurs, orcs, dwarves, etc have co-existed since the beginning of time. Human LAPD officer Daryl Ward (Will Smith) is forcibly paired with “diversity hire” Nick Jakoby (Joel Edgerton) who is the first Orc to ever be hired on to the Los Angeles Police Department. It stirs a lot of controversy with the general public and within the police department who would want him to either die or get forcibly kicked out of the department since Orcs apparently picked the wrong side and fought against humanity alongside an evil Dark Lord. 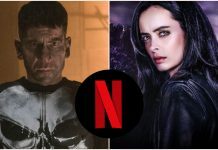 It sets people on edge, including Ward, who comes back from being wounded during an incident with another Orc that Nick allegedly helped escape according to an internal affairs investigation. The story, however, doesn’t really pick up until Jakoby and Ward go on a routine night patrol that does go south and they stumble upon something a lot bigger than they had expected. They stumble upon a bunch of dead bodies and a wand that can only be used by people referred to throughout the film as a “bright” and anybody else who touches it ends up exploding into dust. This wand causes a lot of trouble for Jakoby and Ward as they try to avoid evil elves who want to use the wand to revive the Dark Lord, corrupt LAPD cops, and a bunch of tough gangsters from the barrio who all want the wand for their own agendas. The best way to describe this film is that it’s Lord of The Rings meets End of Watch. 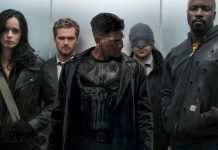 It really does sound like an odd genre mix that would be impossible to bring together but David Ayer and Max Landis do put forth their best effort to make it happen and it pays off despite pacing that sometimes feels off and could let up a little bit but it compensates for it with great performances from both Will Smith and Joel Edgerton. 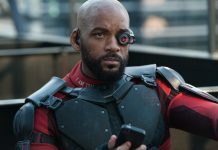 Will Smith provides that cocky, wisecracking, and experienced partner. Joel Edgerton provides a relatable performance. His character is one driven by the prejudices directed at him and wants to stand out as a hero despite humans treating him like he’s a monster and his fellow Orcs branding him as a traitor and does mean well as he tries his hardest to be friends with his partner who largely doesn’t want him in his car or doesn’t view him as a partner or friend. 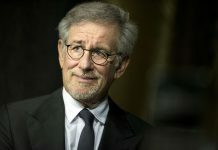 He certainly stole the show from Will at certain points of the film hence why I have so much more to say about him. Their chemistry together is something special yet familiar to those who have seen Jake Gylenhaal and Michael Pena’s performance in End of Watch. The social commentary that this film presents us with is typical of David Ayer, who loves to use a Los Angeles setting for a lot of his films. Orcs are the impoverished street thugs that you would expect to live in Compton. Elves are the 1% and they practically run the world, and though we very briefly see their poshy and glitzy neighborhood you definitely can imagine they are Beverly Hills natives. It’s not really specified as to where humans fall into but at best, I’m assuming they fall somewhere in between the racial system that this film gives us. They just do their jobs and direct their personal prejudices at every other race of creature. It’s a return to form for Ayer who wrote Training Day, End of Watch, Street Kings, and Harsh Times. 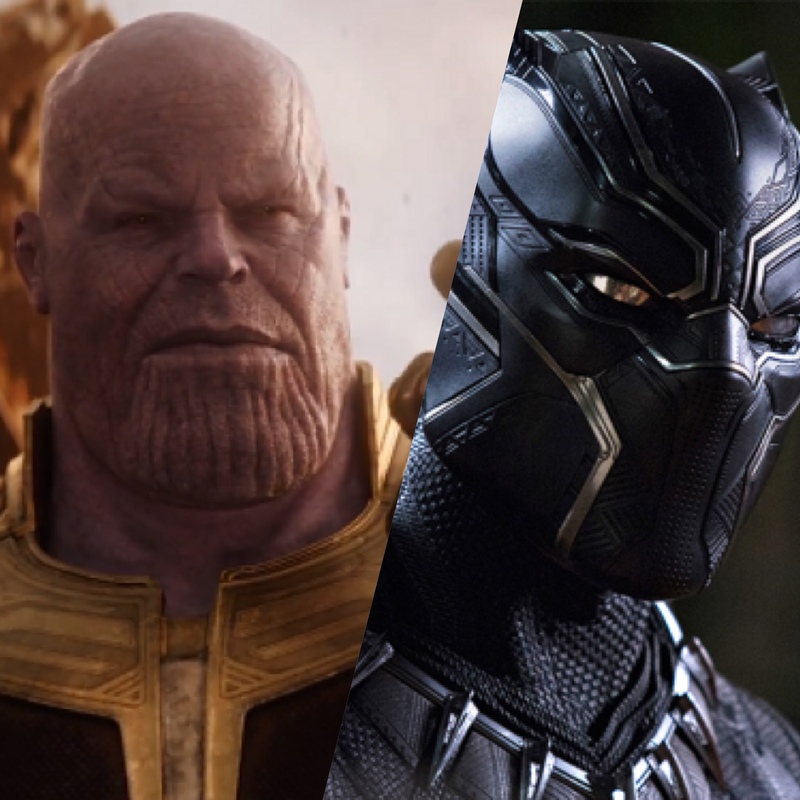 There are a ton of films out there in the sci-fi and fantasy genre that aspire to establish such an expansive and diverse world but they often do fall short of that. In fact, there’s only one film that has come to closest and that was Peter Jackson’s District 9 which put the audience in a very tense community driven setting while also catering to the expectation that it will be a very straightforward action outing which it did masterfully. It’s best highlighted within the first few minutes of the film via an opening montage set to Broken People by Logic and Rag’n’Bone Man which takes us on a night time tour of the streets of LA, complete with grafitti and murals that set up the racial tension and pecking order that gets explored across the events of the movie with minimal exposition. It’s masterfully done through dialogue between various characters such as Ike Barinholtz’s character or Margaret Cho’s. It’s very much a world that I would be excited to see more of in a sequel or perhaps, a spin-off series. In many ways, Bright does transcend the common fantasy elements that work for children’s movies and puts them into a more grown up world. These aren’t the fairy tales you grew up with. In the spirit of Edward James Olmos’ American Me and Ayer’s Harsh Times, it’s another bloody street level adventure, in which nobody is safe. Even the characters that we most cherish can suffer some form of brutal harm and the law doesn’t fully exist for anybody. It’s something that Ayer has done consistently in every cinematic outing and he never misses his mark with it. Despite still possibly having the stink of the studio overhauled Suicide Squad on him, Ayer still exudes the confidence to tackle something as expansive as this and with such a well executed finesse. It is the first real contemporary police fantasy thriller. 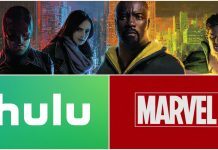 For Netflix, this is hopefully the first of many “living room blockbusters” that they’re attempting to produce as they start to compete against major studios like Warner Brothers and Disney for both positive critical and consumer attention. This is something that I do not think they will struggle with despite the negative critical reception that the film has largely been receiving. In a world where most studios do largely put out more formulaic and studio conveyor belt driven films people are still wanting to see more stuff like this that is more unique and director driven. Netflix is tailoring to that which I think everyone will find admirable despite whatever they think of Bright. David Ayer’s Bright is a solid and ambitious return to form in which he and Max Landis both paint a very large universe that can still be fleshed out even more in a spin-off or series because it’s so enthralling. A universe, which is well represented by a largely low profile cast and two strong leads in Will Smith and Joel Edgerton whose chemistry keeps you invested in the film from start to finish. There’s plenty of action throughout the film as expected from your standard Ayer fare but it’s well done and not over the top to the point of being cringeworthy. In many ways, Bright is the sci-fi police fantasy film that we never knew we needed and hopefully there’s more of it to come in the future!